Storm clouds bring more rain to a blooming Canola crop. 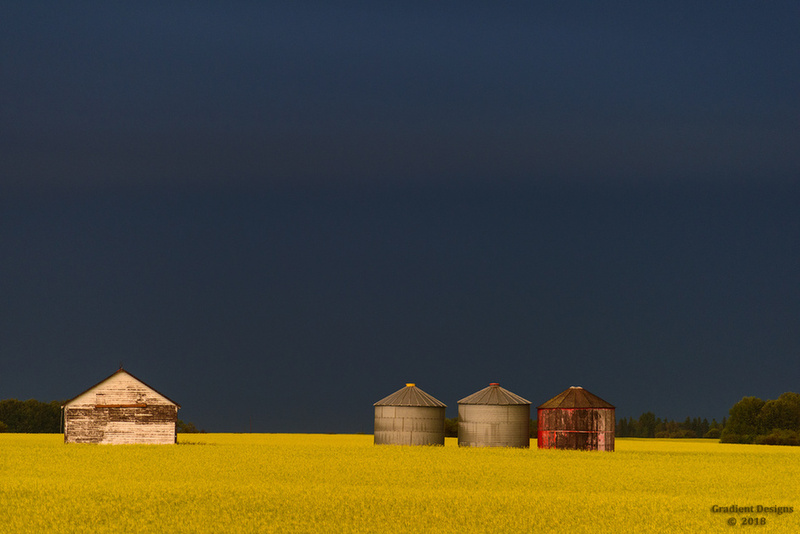 Very dramatic lighting with the dark storm clouds paired against the bright yellow canola crop in the foreground. That is one very dramatic and foreboding sky, John - better run for it!. Lovely contrast with the golden oil crop. The strong yellow against the dark, grayish blue gives a graphic quality. The placement of the buildings is perfect. A composition to learn from. What a wonderful study in color and contrast. Love the composition with the prominent looming sky. A click brings out the green trees, which add to the balance and color. Love it!